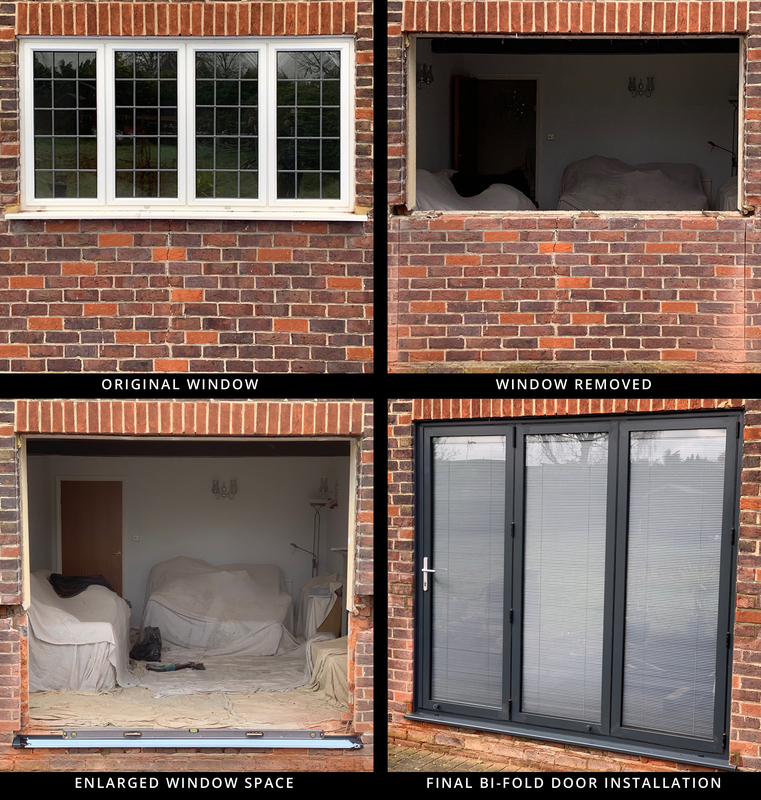 Before, during and after of window converted to bi-fold doors. 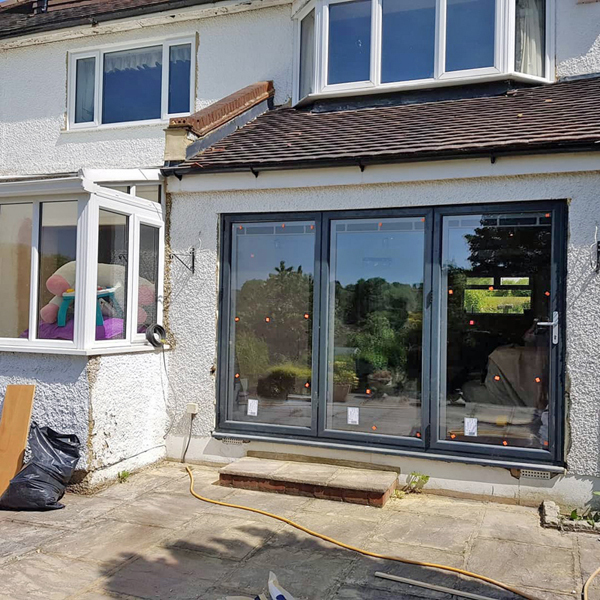 Smart aluminium 3 pane, bi-fold doors have been fitted in the enlarged window space. Anthracite inside and outside. The doors have internal blinds in the glass sealed units.